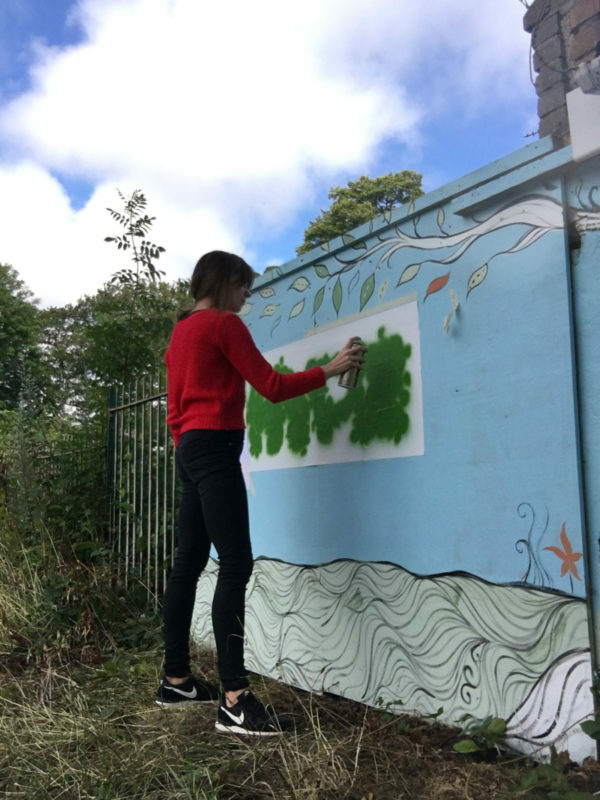 I have recently been working on a mural with the brilliant Hype Merseyside. 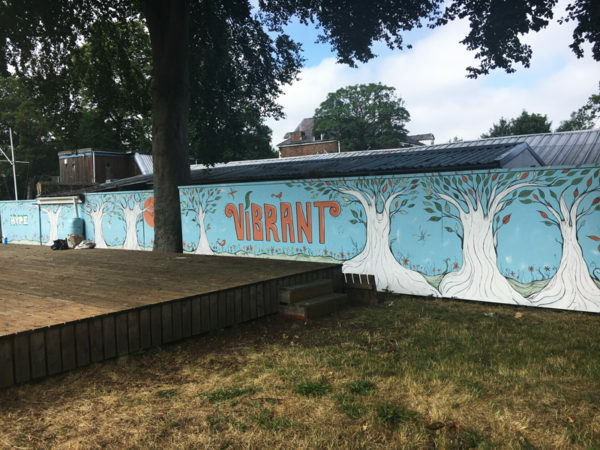 This project forms part of an amazing empowering and educational worldwide project called Vibrant Parks. HYPE delivers a range of youth activities tailor-made to young people. 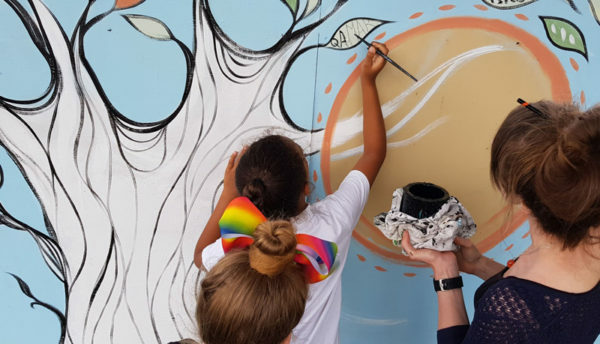 They specialise in supporting young people aged between 7 and 24 years, who are living in neighbourhoods of high deprivation and where there are limited opportunities. Their aim is to create more opportunities for young people, support young people to reach their potential, and to strengthen local communities. 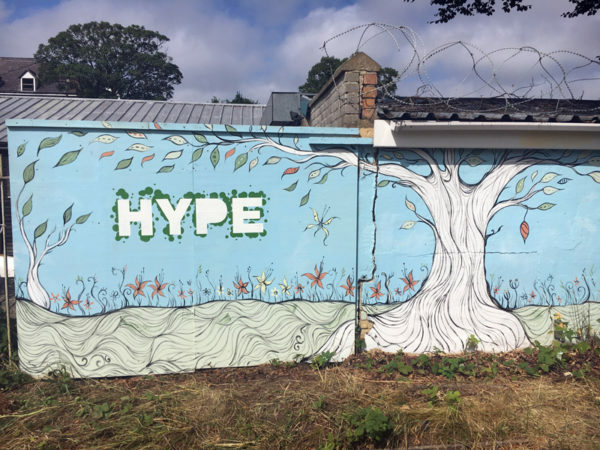 The mural is based in an area of Birkenhead Park for special community engagement events, called HYPE Vibrant Park. I worked with a fabulous and enthusiastic group of children from The Priory Primary School, Birkenhead. 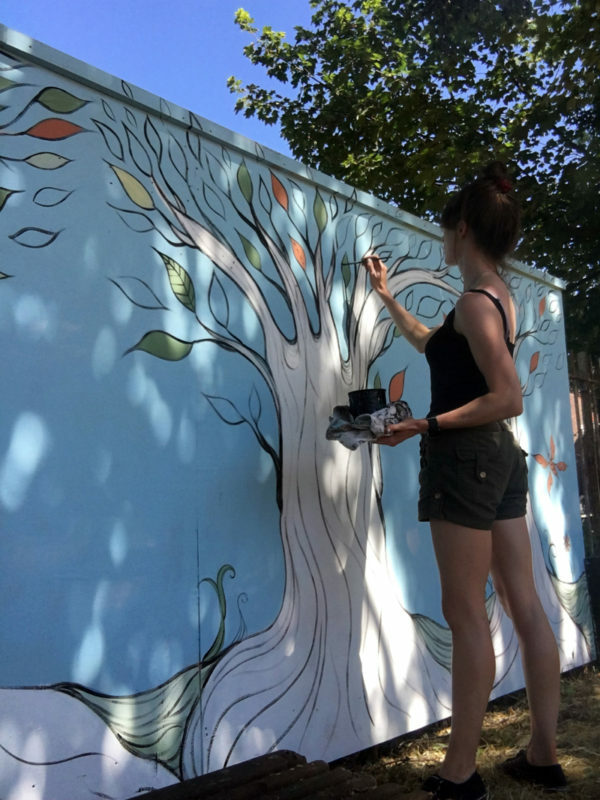 They helped me paint areas of the mural, and also painted their names in the leaves on the trees, ensuring the local children contribute to the legacy of the project. You can see lots more photos of the project on my website. I’m an illustrator and designer based in Liverpool. When creating my work I like to experiment & incorporate many different mediums & processes. I use anything from a pen… Show more. Send a message directly to Charlotte Weatherstone. I’m an illustrator and designer based in Liverpool. When creating my work I like to experiment & incorporate many different mediums & processes. I use anything from a pencil to spray paint & I like to work on canvas, found objects, paper, wood, a computer and brick walls. I have many different sources of inspiration including: nature, calligraphy, astronomy, music, ballet, people, fashion & art nouveau.